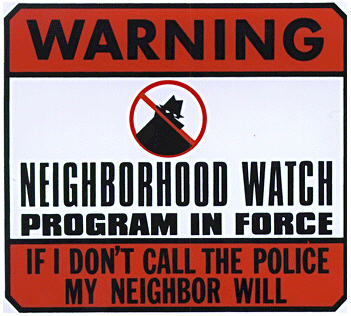 In the wake of the tragic death of Trayvon Martin, associations throughout the country are now reassessing their involvement in neighborhood watch programs in their communities. My comments to a reporter with the Associated Press on the matter were published in a recent article that appeared in news outlets nationwide (click here to read the report), and it now appears likely that Martin’s parents will be filing a wrongful death lawsuit against the community association. In reaction to this and other news reports about the legal implications of the actions of neighborhood watch volunteers within community associations, the Community Associations Institute (CAI) recently issued a press release with helpful guidelines and recommendations for community associations that wish to implement watch programs manned by volunteer residents in their communities. The press release, which can be accessed by clicking here, stipulates that associations should work with their local police department to implement these programs, create a process for recruiting responsible volunteers who will follow all of the written procedures for the security measures, and continuously reinforce these procedures and the do-not-engage rules with the volunteers. Our firm is very active with the South Florida CAI chapters, and we applaud the organization for issuing this press release to help associations gain a better understanding of the proper procedures for implementing neighborhood watch programs in their communities. Security has traditionally been one of the most important considerations that associations feel compelled to address, but budget constraints limit their ability to hire professional security guards for on-site monitoring and protection for their residents. In response, many associations resort to creating neighborhood watch programs, which are typically comprised of volunteer owners who agree to keep a watchful eye for suspicious activity. The Trayvon Martin case illustrates the concerns for associations that organize their own watch programs. In light of this tragic case, many associations are likely to avoid partaking in the organization and implementation of these programs, because doing so could result in significant liability for the association. Notwithstanding these concerns, if associations feel compelled to participate in the organization of a watch program and endorsing it in their community, they should do so with the utmost precautions detailed in the CAI release. These include organizing workshops with their local police department to establish procedures and training for the individuals who volunteer to participate in order to help ensure that they limit their involvement to watching and listening for suspicious activity and contacting the police when necessary, rather than taking on active duties to follow and engage individuals who are suspected of being involved in criminal activity. It is also important for the associations to stress in their written procedures that these individuals are not allowed to conduct armed patrols in the community. In addition, the associations should consult with their insurance carriers and agents to determine whether they are covered for liabilities that may be caused by the actions of the watch volunteers, who should be vetted by the association with a criminal records background check. If the association learns of any questionable conduct or history of criminal activity by the volunteer, they should take immediate steps to disallow any involvement in the watch program by the individual. There are many reasons why associations should avoid formally creating these watch groups and leave it up to the individual owners to band together to develop their own efforts outside of the auspices of the association. However, for associations that cannot or will not distance themselves from the formation of the watch groups, they should follow these and other guidelines, including those suggested by CAI, and consult with their own attorneys in order to limit their potential liability to the greatest possible extent.